Home ownership as it stands today is not feasible for the average millennial nor is it aligned with their lifestyle. I believe there will be large companies built on new ownership models that adjust to this new reality and fill the large void in today’s market. In this post I share statistics about market trends as well as consumers’ financial and demographic characteristics to illustrate the current state of affairs. I also explain why it is the time for new, disruptive companies to thrive. 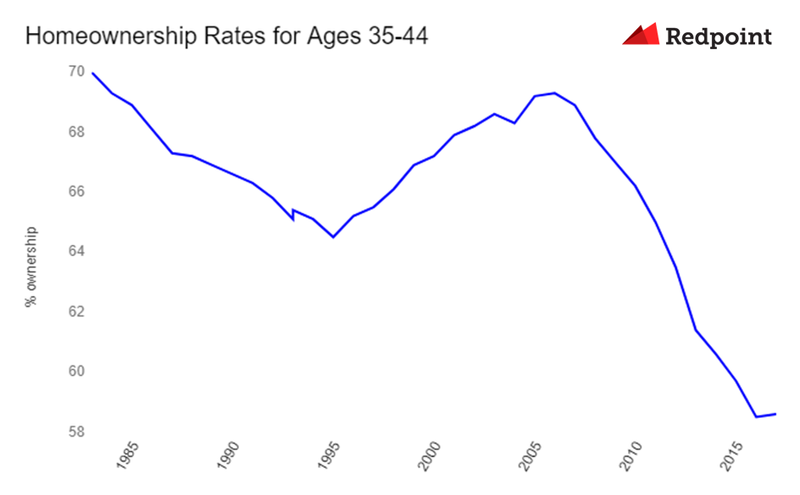 Home ownership among millennials below the age of 35 is at its lowest level in over 30 years. Some have posited that these individuals are simply waiting longer to buy a home. This theory unfortunately does not play out in the data. 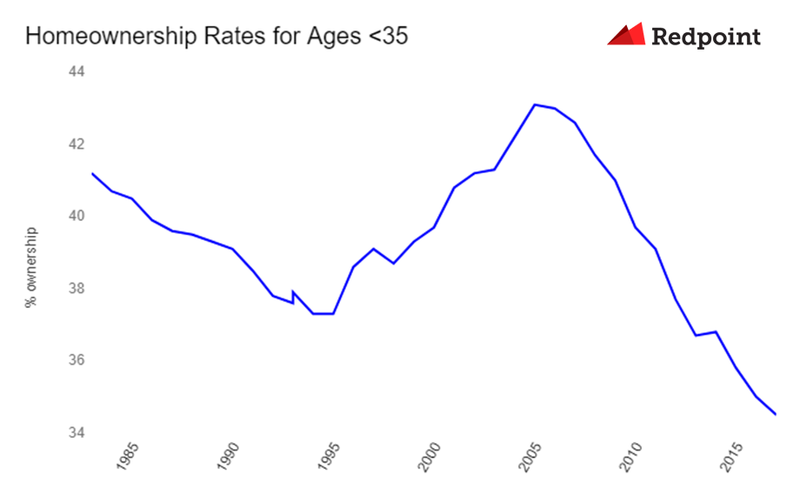 Among ages 35–44 home ownership rates have declined even further. Why is home ownership declining? 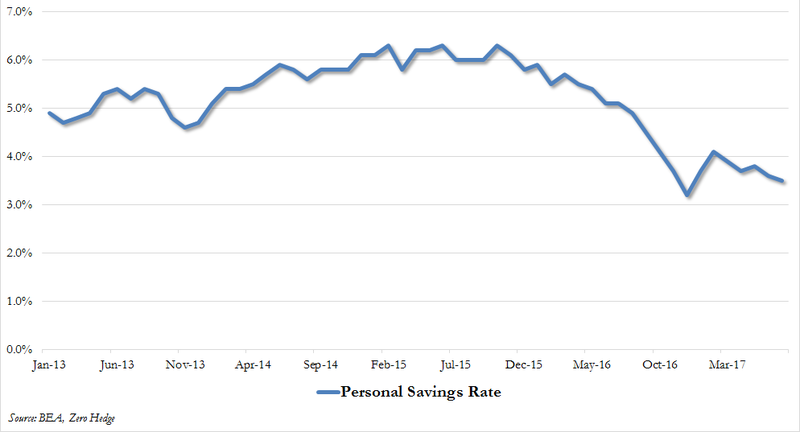 (1) The average American has less cash and (2) their lifestyle is increasingly incompatible with traditional ownership structures. (1) The dream of home ownership is becoming more difficult to achieve. Many Americans do not have enough cash for a down-payment or the credit history to qualify for a mortgage. (2) At the same time how we live is changing. Unlike their grandparents, millennials are no longer getting married in their early 20s, buying a 4 bedroom house in the suburb, and moving up the corporate ladder at one company for their entire career. Instead they are increasingly urban, delaying marriage, and more mobile both professionally and geographically. 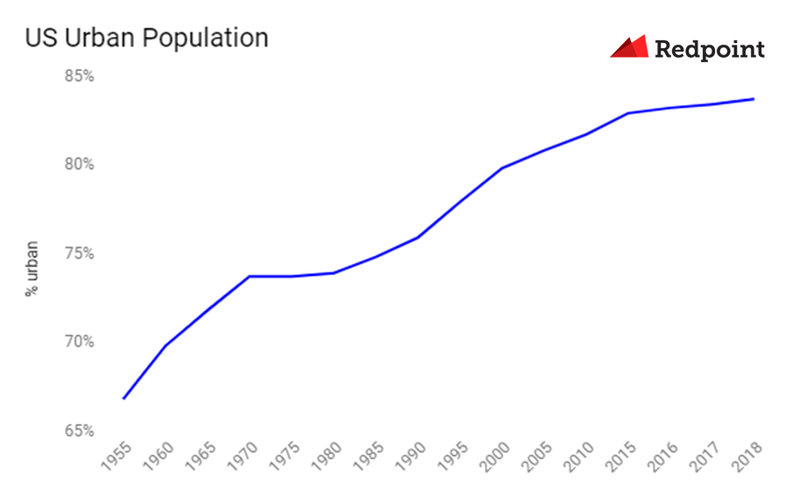 The percentage of the US population that lives in urban areas has been increasing steadily. In 2018, 84% of Americans live in urban areas, compared to 65% in 1955. 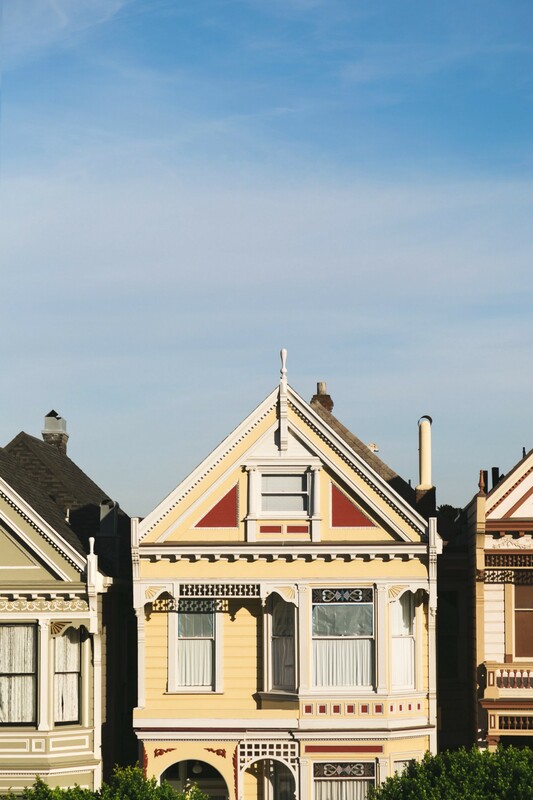 Homes in urban areas are more costly per square foot than rural ones, so the price of ownership has increased as this migration has continued. At the same time, millennials are settling down later than ever before. 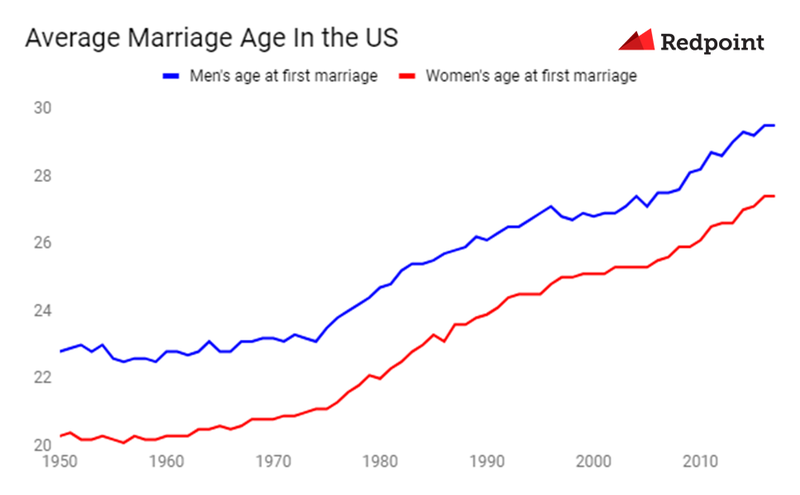 In 2017 the average man first married at almost 30, 7 years later than the average man in 1950. Similarly, the average woman now marries at 27, compared to 20. Millennials today are also more likely to switch jobs than previous generations. Over the last 20 years, the number of companies people worked for in the 5 years after they graduated has nearly doubled. Someone who graduated between 2006 and 2010 averaged nearly 2.85 jobs compared to the 1.6 jobs of someone who graduated between 1986 and 1990. As the chart above also shows, the number of companies people work for 5 to 10 years after graduating has increased as well. 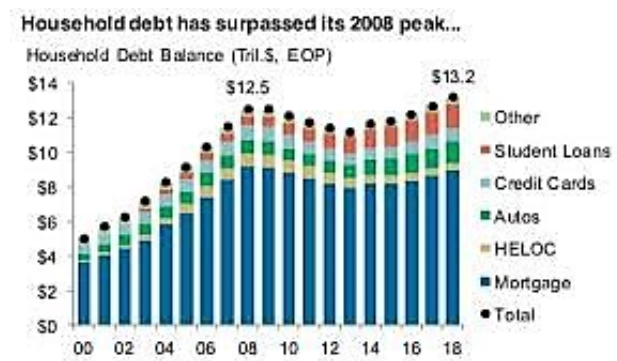 No wonder then that home ownership has declined. According to Redfin, it takes 5–7 years to break even on one time home ownership costs considering the costs of purchasing, owning, and selling the home. In fact, SmartAsset has an interesting rent vs. buy calculator that shows how many years it would take to break even in major cities given the alternative of renting. This data makes it clear that not only is ownership not financially possible but also just does not make sense for many millennials given their mobile lifestyle. They are doing the math and deciding to postpone buying. We need new ownership models that align with this new reality. New companies will fill this gap through innovative models like fractional or fungible ownership that better conform to the needs of the consumer. At Redpoint, we are looking to partner with companies that are focused on this trend. If you are working on a company addressing these issues, I’d love to hear from you at medha at redpoint dot com or on social media. ☞ To hear more from me in the future, follow me on Twitter, LinkedIn & Medium as well.